Marcus was delighted to discover his handmade Tracey Island from years ago, only to discover it had been destroyed by the resident squirrels! 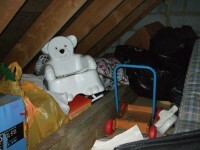 We cleared, cleaned and pest-proofed the loft before putting back some rarely used items. Think, your life could be changed, too! Why not book a session? Not quite ready yet? 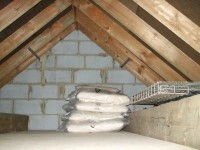 Then contact our friendly team who will be happy to help with more information.